BLDG bagged four ADDY Awards at Saturday night's celebration. 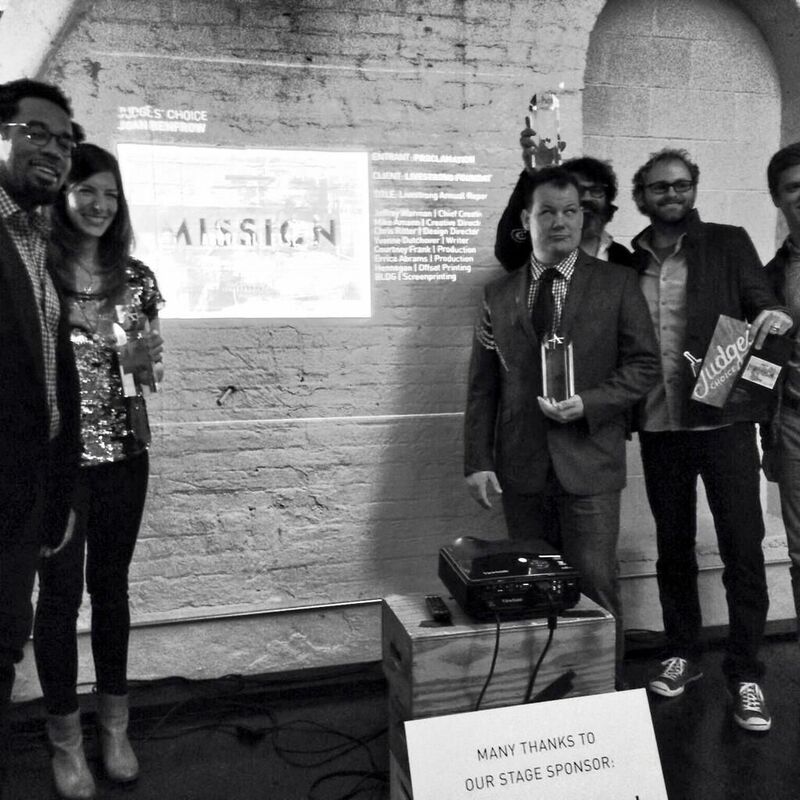 The Downtown Covington-based firm was honored with awards for best annual report, best digital campaign, and judge's choice for its work on the Livestrong annual report. The American Advertising Awards are part of a national competition that begins at the local level. Winners then advance to district competition and then on to nationals. The guys from BLDG celebrated their wins by sharing some love with the crowd at the Moerlein Tap House in Cincinnati's Over-the-Rhine neighborhood where the event was held by passing out some of their signature deer antler extract stickers.